IOS App Developer: HP Inc.
Hp 12C is still not functional on iPhone X other than as a four function simple calculator. Rotation for the financial functions. The developer is very remiss in not providing proper updates. I’m now carrying my original 12c device the avoidance of which was the reason I purchased the app in the first place. Apple should take all HP calculator products out of the store until these issues are fixed for those of us who have already paid for a non-functioning calculator app. If you are using a reasonably modern iPhone, which has no “home” button anymore, then the only way to switch apps is to power down your iPhone. It insists on going into full screen mode and never relinquishes the screen. Outdated, outdated, outdated. This is an orphaned app. Good app. Looks and works like the actual HP 12C. Does not display full screen on iPhone 6, and most likely newer iPhones. This should be a simple update considering the price, but has not been updated in a year. Would also be nice to display full features in portrait mode. There are less expensive and free competing apps available with these features. I wanted to support HP. Too bad customer experience is not a priority. 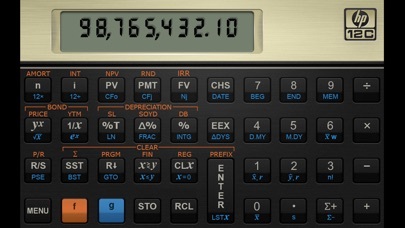 Superb software reproduction by HP of its original outstanding HP 12C pocket calculator! Works well on iPhone XS Max and iPad Pro 11” with iOS 12. Thanks HP, well done! Loved the app for 2-3 weeks and now can’t get screen to rotate. Have deleted and reinstalled to no avail. Pls update w fix. Thx. Won’t rotate to landscape on iPhone! 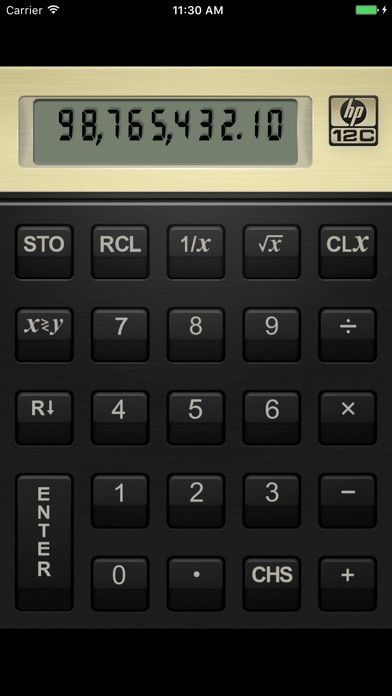 I love this app, because it’s just like my physical calculator, which I use every day. However, I bought this $15 app on iTunes, and now I’ve switched to a Samsung Android phone. Do I get access to my already-paid app from iTunes on Android, or will I have to pay another $15 or so to get this on my new phone? Thanks and happy holidays! I am unable to see all the calculator keys when I turn my phone horizontally (landscape). Bug has not yet been fixed. More IOS Apps by HP Inc.